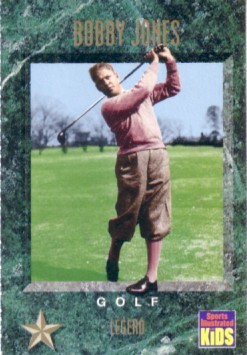 Sports Illustrated for Kids card of legendary golfer Bobby Jones distributed exclusively in the Dec. 1994 issue of Sports Illustrated for Kids. Has usual perforations. ONLY THREE AVAILABLE FOR SALE.